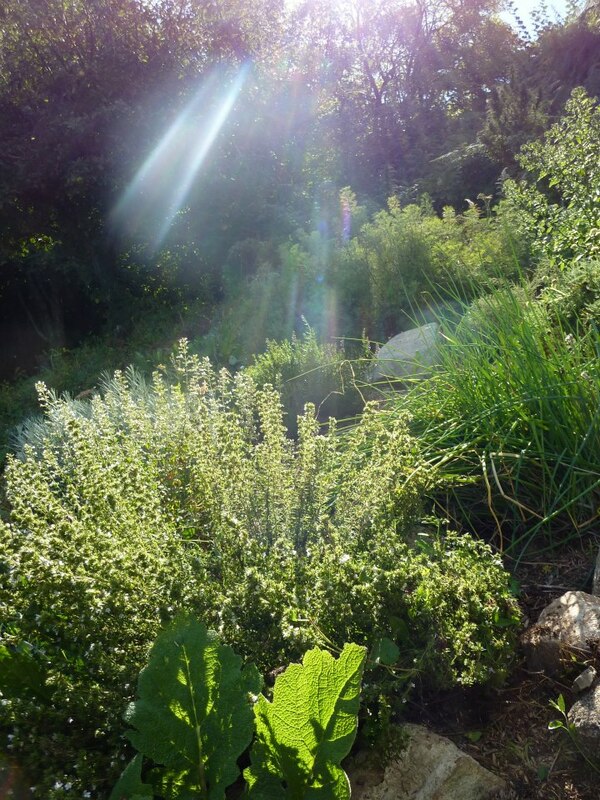 Cathy Skipper | Herbalist, gardener and teacher. Hello and welcome to my blog, passionate about plants, I teach herbalism, aromatherapy, field botany, gardening and organic agriculture in the UK, France and occasionally in the United States. Through this blog I hope to share my passion, observations and musings about the plant world, medicinal plants and gardening. Your comments are welcomed, I believe deeply in the benefits of sharing, linking up with each other and exchanging ideas in order to advance. My personal path, like that of us all is formed by a never ending series of adventures, meetings with others (people, plants and animals) and with newly discovered aspects of myself, some pleasant, others less pleasant but all necessary, I hope to be able to share some of this adventure with you. Click on the link below to listen to a radio interview ! Bonjour, je vous ecris de la part de Patricia qui est boulangère bio. J’aurais besoin de l’herbe de la rue (ruta graveolens) pour un soin sous forme de bain. Je viens à vous car il est totalement impossible d’en trouver dans le commerce, y compris chez les horticulteurs qui n’en ont qu’au printemps. Idealement, j’en aurais besoin pour demain soir. Je vous remercie de votre aide. Ou merci de me communiquer un lieu où je pourrais en trouver si vous n’en avez pas. Hi Cathy I also am a herbal person. check out my facebook roots to health and/or my web http://www.rootstohealth.co.uk Would love to talk herbs with you some time. Hi Jayne, great website. I teach a few times per year near Axminster at Trill farm, maybe we could meet up? Hello Cathy, I am œnologue and chef (based on ayurvedic techniques) I am very interested in learning more about your area of expertise. I have been living in France for 12 years now in the Haute Savoie just outside of Megeve (Combloux). I have sold my Wine celler and catering business last year. (l’Alpage Gourmand/ Atelier Gourmand) I am now a teacher at a private school here in Combloux and have a lot more time on my hands. I would love to know more about the courses you offer as well and maybe as well if you are open to give a conference/ Weekend course/atelier here in Combloux. Looking forward to hearing from you. Hi Cathy, I am interested in classes with you in France this year or next. Might you have a schedule? Your course Molecules, electrical impulses and energy course. Hi Jo, are you in the States or in the UK? I am interested in the course right away. Is it online courses?? I am doing an online course http://theida.com/aromatherapy-education/french-aromatherapy-certification-course and other courses live, which country are youin? Hi Cathy. I hope you do not mind me contacting you but found your website and am so happy to “see” you again. If you would like to please email me. If not no worries but know that I send you my love. Hi Cathy, I am very interested in taking an aromatherapy program to educate myself. I am having a difficult time finding a reputable school that teaches all methods of aromatherapy. what school would you recommend? I am living in Canada. Hi Cathy, I have read about your new course – “French Aromatherapy/Aromatic Medicine Certification Course” and am extremely interested in studying with both you and Jade. Please could you tell me if you have any spaces left; whether I can complete it in England and also whether it would be recognised as a legitimate qualification for the IFA who I have recently registered with. Hi Gaynor, Jade is dealing with the registrations etc. I will send your e-mail address to her and she wil get back to you very shortly. Hi Cathy, I lived in Switzerland & France for over 30 years and hold both US and French passports. I am presently pursuing essential oils certification (an 18-module course developed by Dr. Scott Johnson) and am very interested in your French certification course! Is the certification recognized in France, as I hope to return (my children are in France & Switzerland)? Long time, no speak. Hope all is bursting forth in your life with plants. Could not make the weekend in Norfolk in November sadly but I am planning that I may make it to the herbfest in 2016 and have a real time to gather myself,learn and grow without the distractions of home! My name is Taylor Lavenu. I live in Thonon-les-Bains during the winter and have spent the past two summers living and working on Blessed Maine Herb Farm with Gail Faith Edwards in Maine, USA. She past your name onto me. I send an email to L’ecole des planted medicinales a Lyon but I thought I would try to reach you here as well. I wanted to inquire if you had any teachig oppurtunities this winter where I could come and learn with you, something like a stage. Alternately if there is any work that needs to be done at the school or with winter preparations I would love to be involved in any capacity. I look forward to hearing from you and until then, many good things. Hello, I would like to take one of your courses either in the USA or online, do you have anything available at this time? Thank you! Hi, I have two online courses but they are very specialised, one is called French aromatherapy and the other hydrosols at http://www.theida.com. I am teaching live classes in the States in on alchemy and healing the soul at the New York Institute of Aromatherapy 1st and 2nd of May, at the Naha conference in Utah in October and in Detroit at the of May. My name is Saoirse Bachman. I love your blog. I received a link to your post about Swani Simon from a dear friend. I am an admirer of Juliette de Baircali Levy and have been so inspired by her life and work. I am so glad to hear about Swani and your lives! I am live in Maine, United States but will be traveling to Scotland late June and then traveling for a while with hopes of learning as much as I can about tending cows, other large livestock and herbalism. I am would love to stay aware of your travels and workshops, with hopes of attending one of your classes and meeting you. I am also wondering if you know of a way I can reach out to Swani. I am an aspiring large animal vet and would love to learn how to work with plants to tend animals and land. Hearing about Swani and her connection to Juliette is an incredible gift! Hi Saoirse, thank-you for your feedback. Swanie is going to be teaching at the International herbal conference in Wheatcroft college, nr Boston in June 2017. She does sone online classes but they are at the moment in German (I don’t know if you speak German). She is going to have her book in English finished by the International conference. I will also pass on your e-mail to her. She is planning to spend more time teaching in the States after the International conference. Love the plant sketches. Keep up the blog. Will definitely follow. It was good to see you at the International Herb Symposium last year. I am glad to see you in the states doing things this year too. I am fascinated. One day it will be my turn to learn more. I now travel with Palo Santo wood every where I go. You have my email if you would like to connect. I’m French, living in the us. do you offer long distance course? Sciences. I am looking forward to following your blog. I’m finding it right in the area of the focus I wish to take. I just recently came across your name again on jim mcdonald’s site, after first hearing about your work at this previous year’s Plant Healer’s conference in Cloudcroft, NM. I remember being super excited for your class, something related to potions making/ perhaps by scent. Anyway, I’m extremely pleased to find out that you’re actually local in NM! I live in SFe and am just starting my journey into herbs. I found that you teach online classes through the site Aromatic Studies, but would you happen to ever teach *physically* in the area? Hi Ashley, just seen your message, sorry its been a while since you wrote it but I didn’t realize I had all these messages linked to my blog. We are planning a live class in October in santa Fe. I will keep you posted . Hi Frances, sorry not in 2017. Good morning, I’ve enjoyed reading your blog. I have a question – and forgive me if you’ve answered already and I missed it. I plan to experiment with extracting essential oil from the blossoms of a native Texan evergreen, which only flowers briefly in the spring. Would it be possible to freeze these flowers, before use? If so, is there a recommended method? You could do a certified online aromatherapy class, there are a lot to choose from, if you start looking and want some help in making a final choice, I could advice you. It is a pleasure of mine to have encountered your work, it is a true blessing for myself to see someone who talks with such passion and with such admiration to the plants on a deeper more profound sense. I’m aspiring to become a botanist specifically working in the field of native herbal healing and aromatherapy. Yet I do not have a solid background in botany, plant taxonomy or medicine. Almost three years since I’ve awakened to this need of studying and working with plants. These years were spent with self education, volunteering, connecting with likeminded people, and on the other hand some lack of clarity and guidance which have left me feeling lost in this massive plant kingdom. Thus I ask you humbly for your guidance; should I first take an official degree/certificate in botany? I’m planning to take your 3 courses on the aromatic studies website. Yet I would like to take a live intensive course on general herbology, would you recommend a certain course? also are there any books that you would recommend? I have recently been reading about your work, and have found it greatly interesting. However, having wanted to be involved in herbalism in France, I discovered that there were laws making clinical herbalism illegal. What can you tell me about this/ the way you work in relation to these laws? Hi Luke, I have left France and now live and work in New Mexico. It is difficult in France but there are ways around. I have been searching for this type of information! Thank you for sharing your wisdom and knowledge! Can you add me to your subscription for email. I have looked at your flu mix is there anything else I could add ? 18th century apothecary still intact. Depression cuts the ground from under one's feet! Listening To My Soul – A Personal Manifesto. Making and using Flower essences.